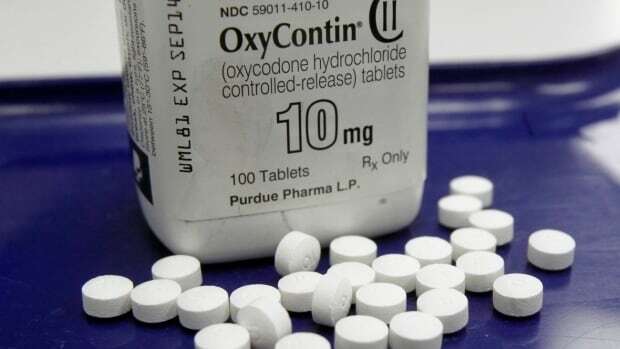 A Saskatchewan judge has rejected signing off on a $ 20 million settlement in a class action lawsuit between hundreds of Canadian patients and the pharmaceutical company that makes Oxycontin. Judges in Nova Scotia, Ontario and Quebec had already signed-off on the deal. Following a decade-long legal battle, Purdue Pharma (Canada) had agreed to settle the suit, launched over how the company marketed and sold its pain medications OxyContin and OxyNEO. With the settlement, Purdue Pharma also noted it was making no admission of liability. The allegations in the lawsuit concerned over-marketing of the drug, according to Halifax lawyer Ray Wagner, whose firm launched the class action in 2007 in Atlantic Canada. It was expanded to include every province, with the suit alleging that Purdue Pharma had underreported how addictive its medication was. Barrington-Foote listed several reasons the $ 20 million settlement was inadequate. He wrote that not all provincial health insurers had approved the settlement agreement and that they were left out of the loop in a matter that required their greater involvement. Of the $ 20 million settlement, $ 2 million was earmarked for provincial health insurers. While the settlement agreement would have given an estimated $ 57,350 back to Saskatchewan, Barrington-Foote said there was no evidence this would be payment for the cost of health services provided in Saskatchewan. He also flagged issues with the payouts to individuals in the class action lawsuit. Lawyers had estimated each client would receive $ 11,000 to $ 13,500, but Barrington-Foote noted that figure did not take into account the $ 2 million to be paid to provincial health insurers, plus non-refundable expenses. Barrington-Foote cited the case of the representative plaintiff, who said his addiction to OxyContin had ruined his life, including his ability to work and support his family. The plaintiff said he had gone from being an executive chef earning $ 10,000 a month to surviving on Canada Pension Plan disability benefits of less than $ 800 per month. He advised the plaintiff could reapply, with more material to address the concerns in his decision, and with notice to the provincial health insurers, or could choose to apply for certification. The pharmaceutical giant Purdue Pharma has been blamed for triggering what’s been described as an opioid crisis, with Wagner saying his clients in the suit were typically prescribed Oxycontin as a painkiller for short-term injuries. According to a national report, there were 2,946 apparent opioid-related deaths in Canada in 2016 and at least 2,923 from January to September 2017. In an email to CBC, Wagner said lawyers were still discussing options in response to the Saskatchewan decision. “There are a number of possibilities that we must chat with the key players about before revealing our strategy,” he stated, adding lawyers would be in a better position to respond with specifics in the near future.